By signing this membership application, I have read and understand The Cooper Young Garden Club Bylaws and will abide by these rules. Passionately planting seeds of beauty, community, and pride, one garden at a time. The Cooper-Young Garden Club is dedicated to promoting gardening education, neighborhood beautification and conservation through volunteerism and friendship in the Cooper-Young community. 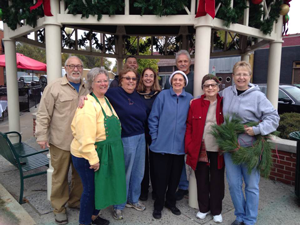 The Cooper-Young Garden Club was founded January 2015 with 11 members but has grown to 37 members. In 2016, we became a Federated member of the Tennessee Federated Garden Club, District 1. The Cooper-Young Garden Club is a 501(c)(3) organization under the umbrella of the Cooper-Young Community Association.